A campaign formed to advocate for EU citizens in the UK has criticised the Home Office’s EU Settlement Scheme for charging applicants, after the authority of Berlin launched a similar - but free - scheme for Brits living in the German city. On January 3, an online form was made live on the Berlin local administration website, in which British citizens living there can register for a residency permit to stay in Germany. “Whatever happens, British citizens will in future require a residency title or some other proof of their right of residency in order to reside in the territory of Germany,” states the website. Brits can fill in the form to submit their request, and they will be contacted from April 2019 onwards to attend an appointment. While they wait for their appointment, they can continue to live and work in Germany. Similar to the UK scheme, which costs EU citizens £65 per adult and £32.50 per child to register for settled status, Brits in Berlin must wait for a decision on their application. British people living outside of Berlin are advised to contact their local Foreigner’s Registration Office. In Germany, administrative matters relating to immigration are dealt with by local districts. Maike Bohn of the 3 Million campaign, which was set up in the wake of the EU referendum to represent EU citizens living in the UK, said Brits in Germany did not face a “hostile environment”. “It’s an additional Brexit tax - people are emotionally struggling with the fact we have to pay to stay,” she said. “British have not encountered the same hostility from the German government that we have encountered from the British government,” she continued. “Nobody objects that we have to be registered, but we object that we have to apply and can be rejected. The Home Office confirmed to talkRADIO that the fee would cover the cost of the settlement scheme. A spokesperson said: “EU citizens make a huge contribution to this country and we want them to stay. “The Settlement Scheme will make it easy for them to get the UK immigration status they will need to stay here permanently. 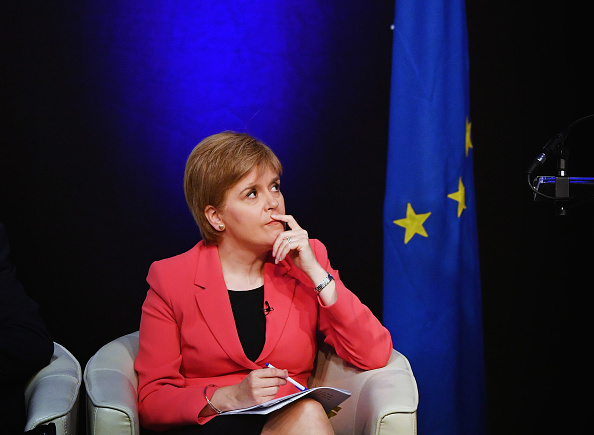 In December 2018, Scottish first minister Nicola Sturgeon vowed to pay the fees of EU citizens in Scotland applying for settled status, but that move was blocked by the UK government. Instead, Ms Sturgeon is seeking for the Scottish parliament to reimburse people who pay the fee. Many EU citizens also expressed their dismay at the scheme after the tweet was sent.